500gms Chocolate Cream Cake With Out Cooling and 6 Beautiful Red Roses are perfect for all occasions. 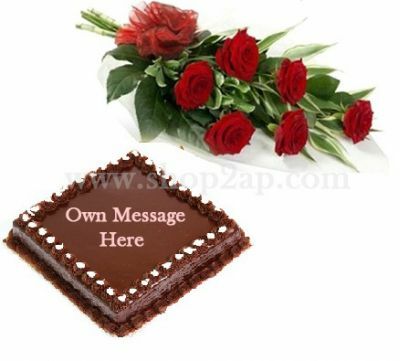 Cakes are treated as tradition to cut on birthdays and celebrate their happy moments with friends,relatives and flowers are used to wish them with cheerful heart. For Message on the Card please specify a noted in “Gift Message Box ” in Step 3 during the checkout.